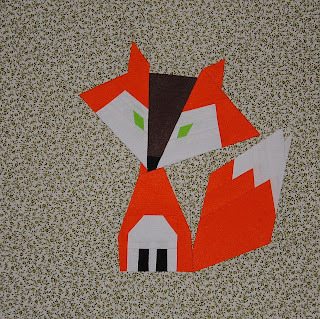 Finally I've made a photo of my third fox. 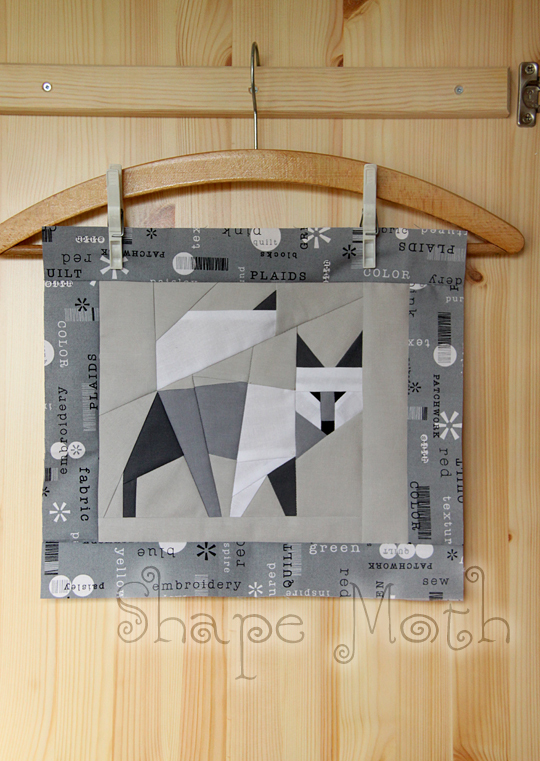 The pattern is originally titled 'Red fox' but how many red foxes can I sew? Besides, not all foxes are red :) So I made aa Arctic Fox. 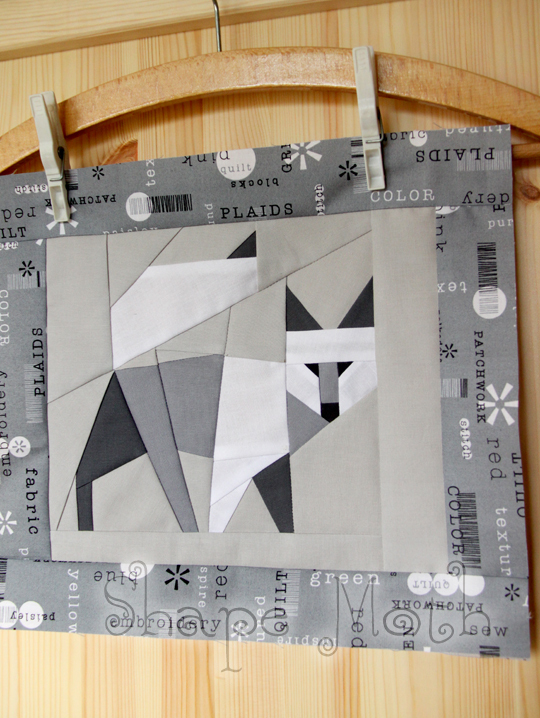 Already have a plan for grey-yellow pillow with this block. Or maybe somebody has some better idea how to use it? Felix made by Joanna. Looks wonderful on this background. Felix is the first thing she's sewn in her new sewing room :) Sounds special, or? 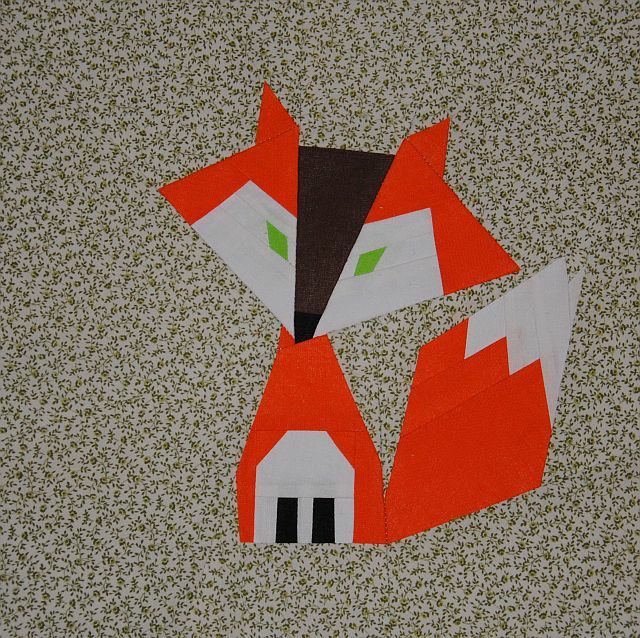 And a little Foxy made by Amy. Dotty fabric on the back looks sweet and fits to the little fellow perfectly. no rzeczywiście masz "fisia" lisiego :) ale jakie efekty cudne!! I am in love with these blocks. I really love how you make them into pillows. Your borders are perfect with what you are doing. I really love the arctic fox. My son would love it too. I'll have to show him the picture when he gets home from school! He is so handsome! Great job with the Arctic Fox! Beautiful! I think the Arctic Fox is my favorite so far! I just read the email you sent me at the end of March because it went into the SPAM folder. I've became a follower so I can keep up to date with your posts. Have a great day! Hi, Kirie! Your project is one of the nominated projects for TSWL's Finest of April 2011. Voting will start on the first week of May. I will give you your vote for me badge days before that so you can display it on your blog! Biologist, cat lover and a s-f fanatic with a creatve mind and off-the wall humour. I discovered quilting in 2010 and it was a love from the first stitch. Celebrate Christmas Blog Hop! 'Snow Cristal' block.